Nadia Koukoui is an entrepreneur passionate about environmental issues. Nadia has over ten years of professional experience in engineering and sustainable development. She has worked with various stakeholders in the water industry, such as Environment and Climate Change Canada, UNESCO-IHE, and the One Drop Foundation. She recently co-founded Watergeeks.io, a clean tech startup that leverages artificial intelligence to offer simple solutions for the (re)sale and purchase of second-hand equipment. Watergeeks.io aims to catalyze a circular economy in the water industry. 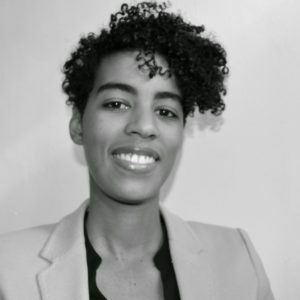 As Past President of the IWA Young Professionals Section in North America and past member of CAWQ’s Board of Directors, Nadia has been actively involved in this industry since 2010. Nadia currently sits on the organizing committee of the IWA’s Young Water Professional international conference which will be held in Toronto June 23-27, 2019.